As a new mom, thinking about childbirth may feel mysterious when it is now you facing the path ahead. It no longer is the woman on TV or your best friend, it’s your journey that you have to take. You know that you have to give birth one way or another– there is no going back now! While others can support you and walk beside you, it’s your journey. Childbirth classes help take the mystery out of that journey ahead, with an experienced teacher as your guide. Educating yourself about the process and what to expect takes much of the unknown aspects out of laboring, birth, and what happens once your baby has arrived. Just like you read weekly pregnancy updates to keep tabs on what is normal and how baby is growing, the same is true for labor! It will give you a map to the journey ahead so you aren’t walking blindly into the unknown. While each labor experience is different– even for a woman who has given birth six times– there is commonality in how labor progresses and how you likely will feel during the different stages. 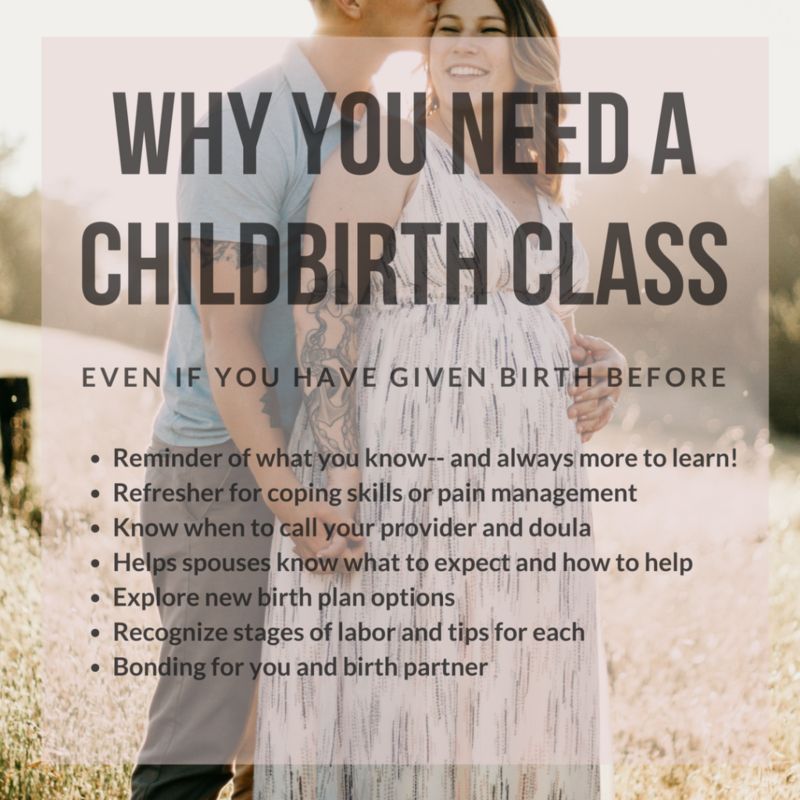 Classes help you to recognize those stages so you know when to call your provider and/or doula, what you can do during each stage, and options you have for your birthing experience. When you know all your options, including the risks and the benefits, you can make a fully informed choice for what the best birth is for you. And, we can’t forget the dads and partners! Classes aren’t just for your knowledge, it’s for them, too. While us moms may put more reading and researching time into our experience, taking a class forces them to slow down and focus on the event ahead. When they attend classes with you, it’s just as much for them to know what to expect and how to best support you in the process. Again, education helps take much of the surprises out of witnessing a birth, what they need to know, along with how they can care for you in those precious postpartum days. Taking classes together can also be bonding for you two! What if you’ve already given birth, do you really need to take childbirth classes again? Yes, you can still benefit from classes! While you may have experienced birth before, a refresher course can be immensely helpful to remind you about what you already know, but there is always more to learn! There are new ways to manage your labor, or even new options to consider after birth. 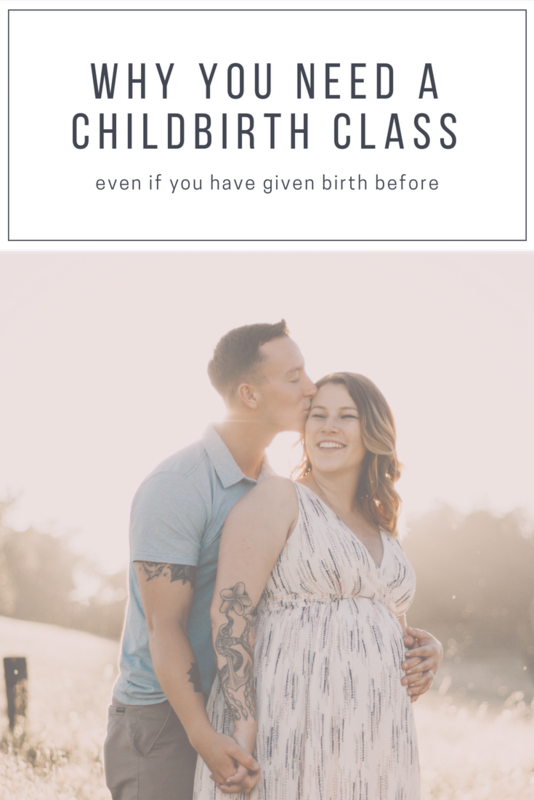 Classes especially can be important if you are desiring a different way to birth this time around, perhaps if you had an epidural the first time and would like to have a natural birth this time. Childbirth classes are an investment to your entrance– or continuation– into motherhood to help ensure you are as prepared as you can be. Kayann can help be your personal guide on your journey into motherhood, whether it’s your first time experiencing the challenge and rewards of birthing, or you simply need to be reminded of what you already know and embracing that power within once more. Each class can be tailored to your individual birthing desires and needs. Contact Childbirth Now today to get started. « Big City Moms Biggest Baby Shower Ever!